Shhhh! Digital Media: Happy Canada Day! We here at Shhhh! Digital would like to wish all those celebrating it today a Happy Canada Day and Happy 150th to our wonderful nation of Canada. Thank you to all of the people who've joined us from around the world during this celebration. 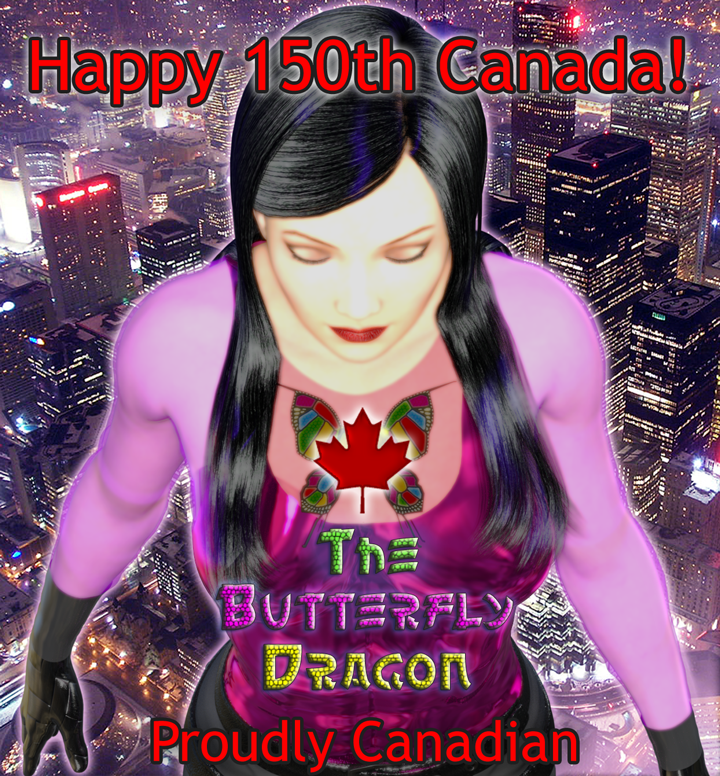 The aerial photograph of Toronto for the backdrop of this rendering of the Butterfly Dragon was taken by paul (dex) from Toronto - city of lights.